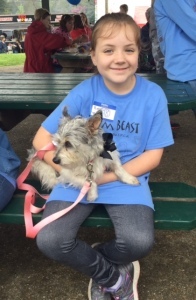 The Stone County SPCA is excited to announce our 9th Annual Mutt Strut during Pine Hill Day. Competitors have the opportunity to win great prizes by raising money for the Stone County SPCA. You do not have to walk to participate in the competition. Likewise, you do not have to raise funds to participate in the Mutt Strut. To participate in the competition you have to get sponsors to donate money. List the sponsor’s name, address, and amount donated on the sponsor sheet. Cash and check donations are accepted. Checks must be made out to the Stone County SPCA. Your money raised and sponsor sheet can be mailed or dropped off to the Stone County SPCA at 1989 Hwy. 26, Wiggins, MS 39577. Do not send cash in the mail! Sponsor sheets can also be turned into the Stone County SPCA booth on the day of the Mutt Strut. All funds must be received by 2:00pm March 17th, 2018 by the Stone County SPCA to be included in the competition. 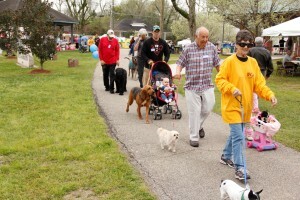 Walkers will meet at the pavilion at Blaylock Park with their dogs. The walk consists of a ¼ mile stroll on the walking path with your pooch. Prizes will also be awarded for the biggest dog, the smallest dog, the best looking dog, the fastest dog, and dog with the best costume. This is a great way to help your local animal shelter and enjoy a spring day with your dog! Follow this link to download the Mutt Strutt 2018 sponsor sheet.